Summer is in full swing, but that doesn't mean we won't be able to eat and drink merrily in the summer heat. Here's a few food and drink events to get you excited in July! Birds & Bubbles at Southern Rail: Celebrate National Fried Chicken Day at Southern Rail on July 6th after 5pm. This wonderful restaurant specializes in Southern cuisine. Imagine biting into crispy chicken and washing it down with a nice glass of bubbly. Available during dinner service in limited quantities. Wurst Festival Ever: Got a hankering for hot dogs? Have no fear because Short Leash Hot Dogs brings you the Wurst Festival Ever - coming to Downtown Phoenix on July 21. Commemorating National Hot Dog Day, be ready for wieners, puns, and beer. Real Wild & Woody Beer Festival: Summer is not complete without beer in your belly! 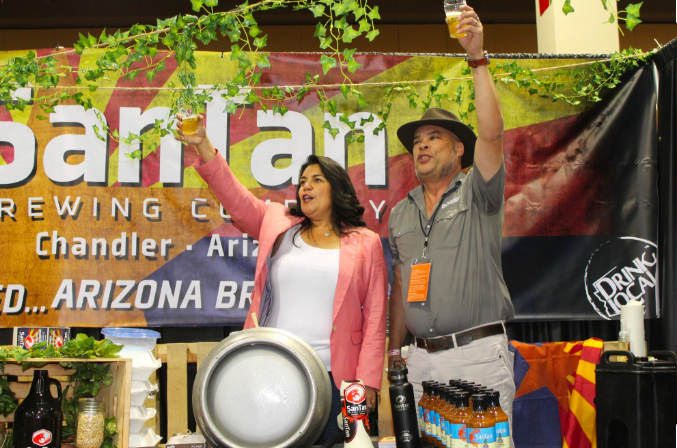 Check out the Real Wild, & Woody Beer Festival, an indoor (thank goodness!) beer festival with over 350 craft beers and 75 brewers. This is an event you don't want to miss.